The TV show known as Boom! and that is hosted on Fox by Tom Papa has its own mobile version. 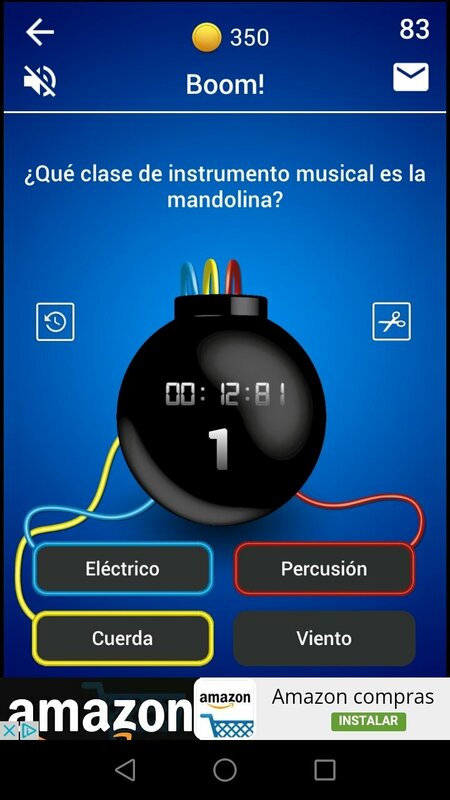 Although it's not the official game, this Boom Quiz manages to provide us with the game's essence. How to play at defusing bombs? By installing the APK of this game you'll have to follow the TV show's same mechanics. In other words, you'll be asked a question with four possible answers and you choose the three incorrect solutions to remain with the right one. 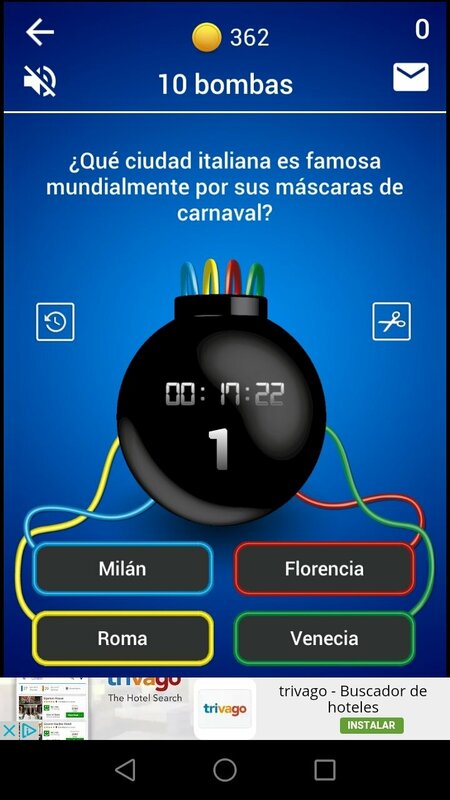 As you know, if you make a mistake the bomb explodes. The adaptation of an Israeli TV show is also brodcast in other countries like Spain, Italy or Mexico. 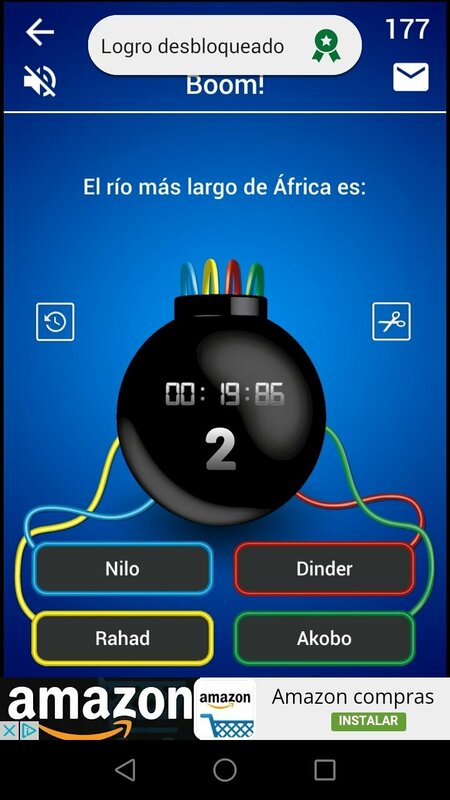 Boom: you have to try to defuse as many bombs as possible. 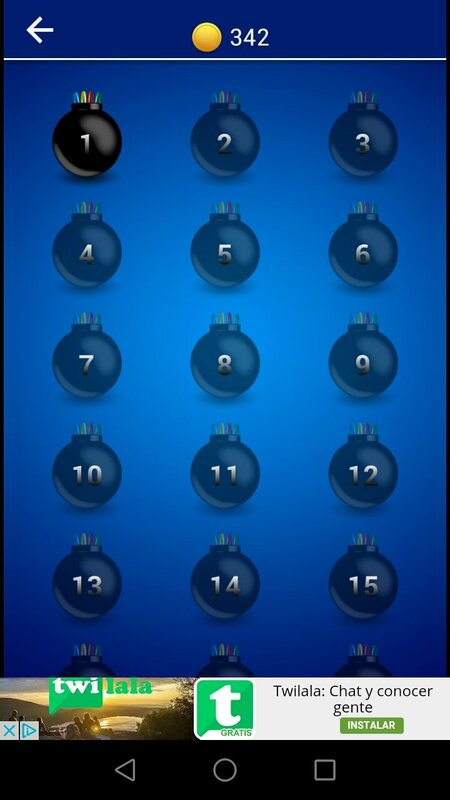 10 bombs: you have to defuse a total of 10 bombs. 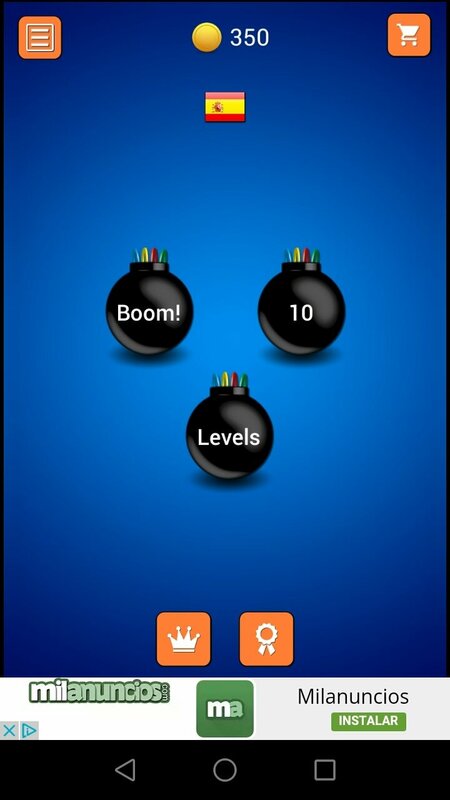 Levels: you have to defuse all the bombs of a certain level to be able to move onto the next one. Apart from all the previous features, there are also different achievements to be unlocked and you can view your progress on the rankings.